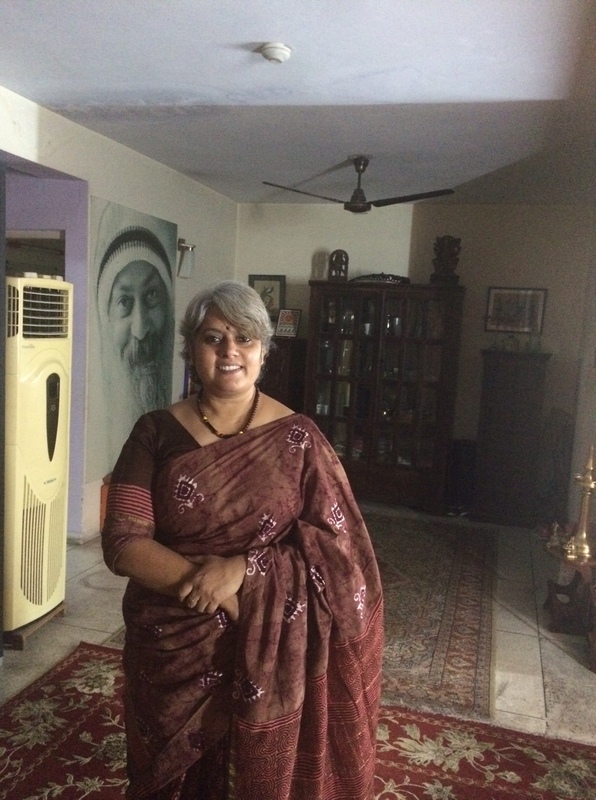 I don’t remember where I got this sari … my guess is, I picked it up at the Cottage emporium, Janpath or during the Ahmedabad trip in 2011. 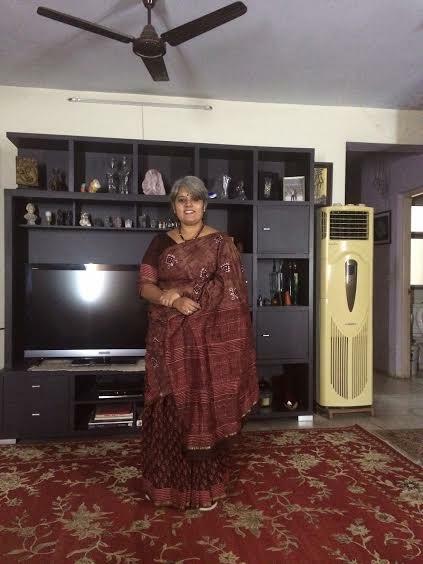 I didn’t wear it for a long time because it was a shorter sari both lengthwise and height wise. Then inspiration struck with another mulmul sari and I applied the inspiration to this one. I had bought many bit-pieces of interesting material at the Cottage – they have them in a bin on the 1st floor where the saris/dress material etc are displayed. One of them fit this sari and the result is a pretty “jugged” sari. I cut the pallu and inserted the piece in the middle and then re-attached the pallu to make the sari whole. I also attached a piece of this cloth to the sleeves of the blouse. I wore it when Rajini was here and her suggestion was to wear a contrast color blouse – maybe white or the baby pink like the borders. Will get one done soon. The sari is a cotton with “bagh” print. The neckpiece is made by Kashiana and her daughter as a fun project with beads that I bought in Nagaland … Geetu, remember ?